If you weren't completely offended by the last installment of this fakakta series, then get ready for another fish fry! Hooah! 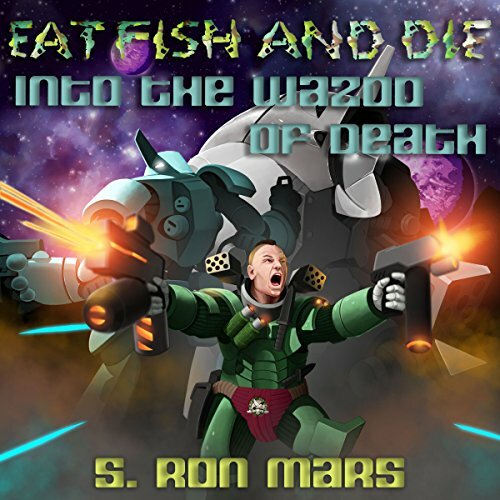 As the interstellar war with the Kasago heats up like a Bengay-laminated jockstrap, we find Major Joachim Merlot and his battalion of battle-ready androids yet again defending Earth against an alien race of stinking fishy creatures. Unlike his last mission, his odds of making it back alive have improved - sort of. As much as the military would prefer him dead, he's more valuable for a bogus court-martial. Is he guilty? Who cares! Hearing about Merlot's headlong charge straight up the enemy's wazoo is worth the price of admission. If you've read this far, please stop and download the darn book!